The Fixed Base is a surface mount base designed for permanent applications that secure the upright with bolts or adhesives. All Impact Recovery Systems uprights and pedestrian safety signs fit in this base. 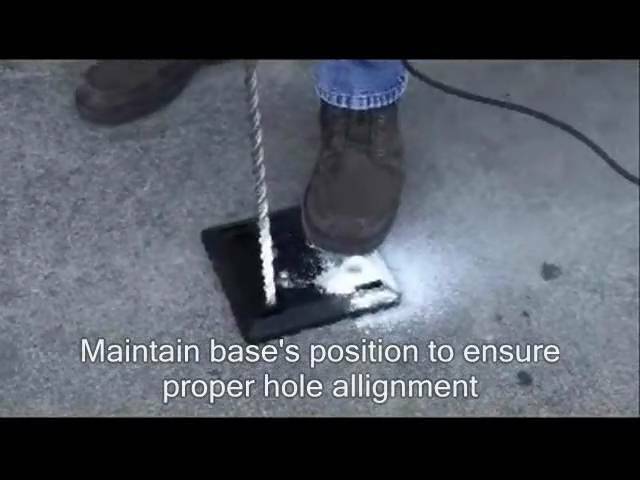 The Fixed Base can be installed using the Impact Recovery Systems’ anchor kit (standard), epoxy or Super Bundy pads. Click MORE INFORMATION for specifications and installation instructions.